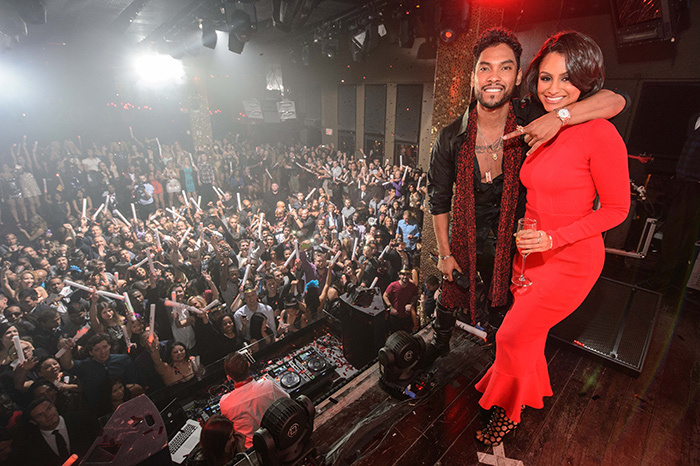 Grammy Award-winning singer Miguel hosted New Year’s Eve at TAO where he was joined by girlfriend Nazanin Mandi as well as family members and friends. Miguel’s group fueled up for the night with dinner in the restaurant’s private dining room with a special menu prepared by the chef. The R&B sensation then made his way to the DJ booth on the lower level of TAO where he hopped on the mic and wished the crowd, “…an amazing night you won’t remember and a 2014 you won’t forget,” before taking center stage for the countdown in the main room of the nightclub. As the clock winded down to the final moments of the year, Miguel hopped on stage with a bottle of Champagne in hand and sang along to the sounds of DJ Politik. He led partygoers in a countdown to midnight before sharing his New Year’s kiss with girlfriend Nazanin amongst confetti showers and cheers. He then kicked the year off with a medley of his hit songs including “Sure Thing,” “How Many Drinks?” “Adorn,” and “Power Trip.” After his performance, he settled into a VIP skybox that overlooked the entire club and enjoyed the rest of the night surrounded by family and friends. 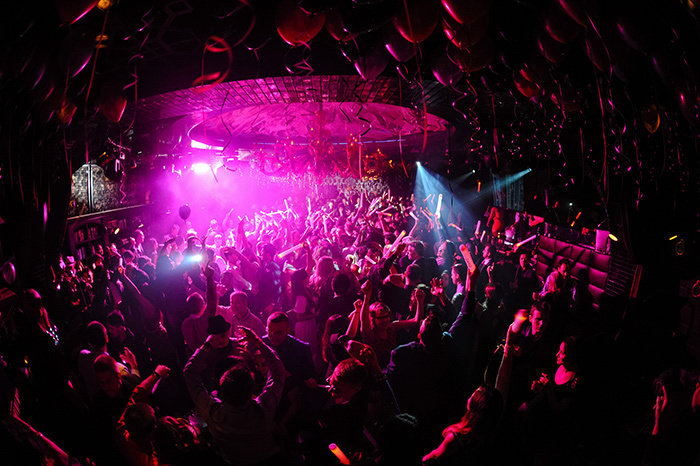 At LAVO, DJ Vice brought in the New Year right with a high energy party and incredible Strip views of the fireworks from LAVO’s terrace as Dutch DJ Chuckie rang in 2014 at Marquee where the party scene went strong into the early morning.